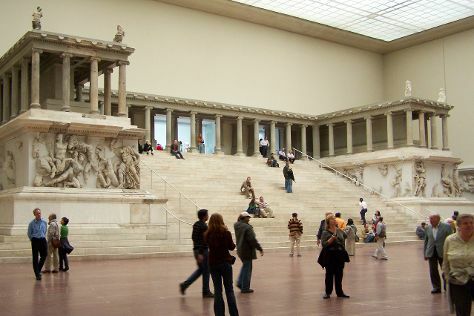 Start off your visit on the 25th (Thu): examine the collection at Topography of Terror, then steep yourself in history at Mauermuseum - Museum Haus am Checkpoint Charlie, and then see the interesting displays at Pergamon Museum. To see photos, reviews, traveler tips, and other tourist information, refer to the Berlin trip builder website . Vancouver, Canada to Berlin is an approximately 15-hour flight. You can also do a combination of flight and train; or do a combination of flight and train. Traveling from Vancouver to Berlin, you'll lose 9 hours due to the time zone difference. Wrap up your sightseeing on the 25th (Thu) to allow time to drive to Prague. Start off your visit on the 26th (Fri): stop by TONAK Flagship Store, take a stroll through Old Town Square, then take in the spiritual surroundings of St. Vitus Cathedral, and finally get to know the fascinating history of Prague Castle. For photos and tourist information, you can read our Prague road trip tool . Getting from Berlin to Prague by car takes about 3.5 hours. Other options: fly; or take a train. In April, plan for daily highs up to 17°C, and evening lows to 5°C. 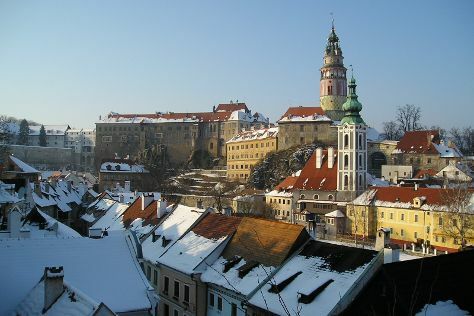 Cap off your sightseeing on the 26th (Fri) early enough to go by car to Cesky Krumlov. Kick off your visit on the 27th (Sat): steep yourself in history at Cesky Krumlov Castle, then appreciate the extensive heritage of Historie mesta Ceský Krumlov, and then contemplate the long history of Former Fink Cafe. To find traveler tips, reviews, ratings, and other tourist information, read Cesky Krumlov day trip planning tool . You can drive from Prague to Cesky Krumlov in 2.5 hours. Alternatively, you can take a bus; or take a train. In April, daily temperatures in Cesky Krumlov can reach 17°C, while at night they dip to 5°C. Wrap up your sightseeing by early afternoon on the 27th (Sat) to allow time for the car ride to Vienna. For maps, traveler tips, and tourist information, refer to the Vienna journey builder . You can drive from Cesky Krumlov to Vienna in 3 hours. Other options are to do a combination of bus and train; or take a bus. In April in Vienna, expect temperatures between 19°C during the day and 6°C at night. Wrap up your sightseeing on the 27th (Sat) early enough to take a train to Budapest. Start off your visit on the 28th (Sun): don't miss a visit to Andrassy Avenue, pause for some photo ops at Hősök tere, then examine the collection at House of Terror Museum, then take in the spiritual surroundings of Matthias Church, and finally steep yourself in history at Fisherman's Bastion. For more things to do, maps, ratings, and tourist information, read our Budapest route planner. You can take a train from Vienna to Budapest in 2.5 hours. Other options are to drive; or take a bus. In April, daytime highs in Budapest are 20°C, while nighttime lows are 5°C. Finish your sightseeing early on the 28th (Sun) so you can travel to Warsaw. On the 29th (Mon), appreciate the extensive heritage of Old Town, then take a stroll around Old Town Market Square, then contemplate the long history of Lazienki Palace (Palac Lazienkowski), and finally take a stroll through Nowy Swiat. To find photos, reviews, and tourist information, use the Warsaw road trip planning app . Fly from Budapest to Warsaw in 5 hours. Alternatively, you can drive; or take a train. When traveling from Budapest in April, plan for a bit cooler days in Warsaw, with highs around 15°C, while nights are about the same with lows around 4°C. Wrap up your sightseeing on the 29th (Mon) early enough to take a train to Krakow. Start off your visit on the 30th (Tue): get to know the fascinating history of Historic Old Town, pause for some serene contemplation at St. Mary's Basilica, and then buy something for everyone on your list at Cloth Hall (Sukiennice). For photos, more things to do, and more tourist information, read our Krakow trip builder app . You can take a train from Warsaw to Krakow in 2.5 hours. Other options are to do a combination of train and flight; or drive. Expect a daytime high around 16°C in April, and nighttime lows around 3°C. Wrap up your sightseeing on the 30th (Tue) early enough to drive to Wroclaw. Known for its relaxed and liberal atmosphere, the energetic city of Wroclaw lures visitors with its rich cultural heritage and pedestrian-friendly old town. On the 1st (Wed), buy something for everyone on your list at Renoma Shopping Mall, then rejuvenate with a delicious beverage at Nalanda Cafe, then browse the different shops at Wroclavia, and finally admire all the interesting features of Wroclaw Racing Center - indoor karting. To find photos, more things to do, and tourist information, refer to the Wroclaw trip itinerary maker app . Traveling by car from Krakow to Wroclaw takes 2.5 hours. Alternatively, you can take a bus; or take a train. In April, plan for daily highs up to 16°C, and evening lows to 4°C. Cap off your sightseeing on the 1st (Wed) early enough to travel back home.